Cairo (Agenzia Fides) - The Coptic Orthodox Church is increasing appeals and initiatives to remind its faithful of the "national duty" to participate in the upcoming Egyptian presidential elections, scheduled from 26 to 28 March. 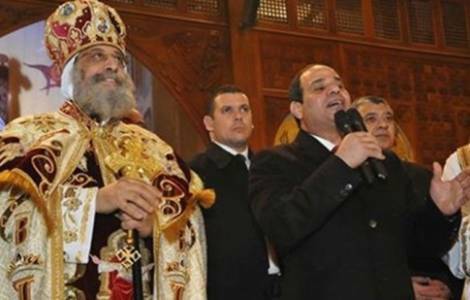 A message from the Coptic Orthodox Church in support of popular participation in the upcoming elections was also published by the Egyptian media, while in dioceses like that of Shubra al Khaymah "Citizenship Committees" organize political and social awareness meetings on the "challenges of Egypt". Also the Bishops take part in meetings and conferences to underline the necessity and civic duty of not deserting the polls.